And Finally Live Without The Constant Worry Of How To Make Ends Meet! 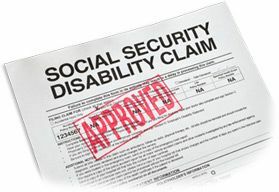 Are you angry that Social Security denied your application for disability benefits? Are you tired of the mountains of paperwork and the overwhelming fear that any little mistake you make in your appeal can get you denied yet again? In Maryland, DC & Virginia, it is not uncommon for legitimately disabled applicants to get denied on their first application... In fact, approximately 88% of the time, you will get DENIED. The "system" doesn't work in your favor! And don't think your chances of getting approved are going to be much better on your second attempt... because about 80% will be denied on their second reconsideration attempt! But just because they deny you the first time, or even the second time, DOES NOT mean that you can't appeal your denial and be awarded disability with the help of a disability lawyer! Greenberg & Bederman Uses A Proven, 4-Step Blueprint For Turning A Denial Into Approved Monthly Benefits! Please know... a disability lawyer can help you successfully appeal your denial, either by filing something called a "request for reconsideration", or appearing before a judge at a hearing. Over the years, Greenberg & Bederman has developed and fine-tuned a proven, 4-step system that gives our clients a high-rate of success in winning their disability appeal and being awarded steady and reliable monthly payments. Imagine not having to worry about how to make ends meet... not worrying again about how you're going to put food on the table... and no longer having to live in fear about where the next dollar is going to come from. When you win social security disability, you not only get on-going, reliable monthly payments that will provide a comfortable way of life, but we can also fight on your behalf for past-due benefits (aka. "backpay"). This is typically a lump sum payment of backpay (past-due benefits) potentially covering all the months back to where you first become disabled. This can quickly help you pay off debts, get a car, or pay for things like medical bills and doctor visits. So not only can you get steady monthly payments going forward, but you can ALSO with Social Security disability typically get a big lump sum payment at the very beginning to cover all those months when you were not getting any benefits! Best of All... We Are So Confident We Can Help Get Clients Disability Benefits, We Only Get Paid If You Win Your Case! If You Don't Win, You Don't Pay! Listen... living with a disability is stressful enough, you don't want the added stress of risking any money to work with an attorney who may or may not help you win your disability benefits. That is why we guarantee all the social security clients we work with that we only get paid for our attorneys fees if you win your case. In other words, if we fight for you and you don't win, you DO NOT have to pay any attorneys fees! Because we have a high rate of success, we can reliably take on clients knowing we have a very good chance of winning your appeal and getting you (the client) the monthly disability payments you so desperately need. And one other thing... our attorneys fees are ONLY a percentage of any backpay (past-due benefits) that is awarded to you. In other words, we DO NOT take money on your future monthly payments from the time you win your case. This is a huge benefit for you! And listen... we win backpay for about 95% of our clients who win their case... that's either an interval based payment, or more often than not, a lump sum payment that hits your bank account right off the bat! That way, you can rest assured that each and every month you collect disability for all future months, you will be receiving your benefit amount IN FULL, just as you would have had you not used an attorney to help you. Our clients love our payment system, because we are paid DIRECTLY from social security (meaning you never have to write us a check), and we cap our total possible fees to $6,000 -- meaning you will NEVER have to give more than that in attorneys fees, EVER! In fact, often our clients owe much less! Unlike a lot of lawyers who practice law across many different areas (personal injury, medical malpractice, social security disability, etc), the social security lawyers at Greenberg & Bederman ONLY practice social security disability law. They are 100% dedicated to overturning social security denials and winning benefits for clients through the appeal process. So who would you rather put your trust in?... A lawyer who does more than just social security? Or a lawyer that does social security EXCLUSIVELY? Our disability lawyers are dedicated fully to appealing your denial and spend their days figuring out how to get the best outcome for you. Right now, our social security disability lawyers are giving away FREE case evaluations -- that means you will personally speak with one of our disability lawyers and find out if we can help you appeal and win benefits. During this free, no-risk conversation with a lawyer, you can share your story about how your disability has made life difficult for you. We will listen to you and get to know you. You will also discover how easy working with Greenberg & Bederman can be, and learn what your best course of action is going forward. And let us make it perfectly clear... this consultation with our friendly lawyers is 100% free, with absolutely no-risk to you. You are in no way obligated to work with us after the call, nor obligated in anyway to pay anything for the consultation. It truly is a no-brainer! Simply fill out the form below, or call our special number at 800-800-1144 right now to get started. If you fill out the form, an attorney will promptly call you back. It's that easy, so no need to wait.